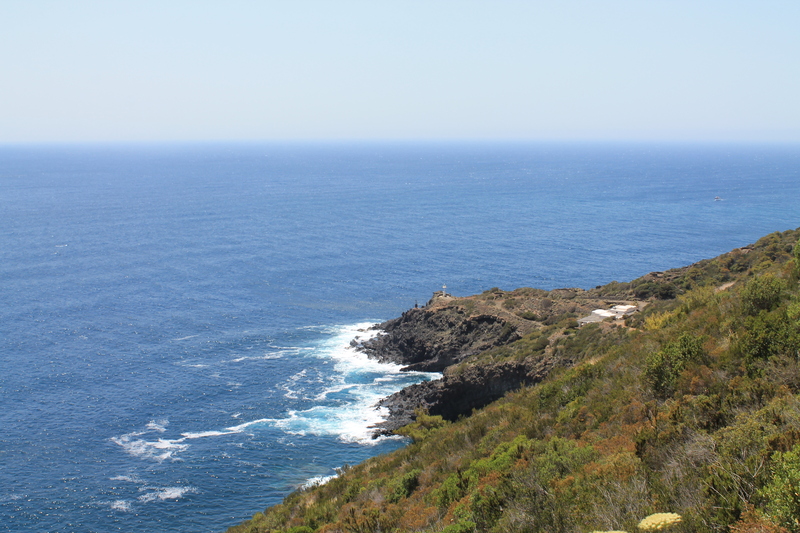 It is sad to be leaving Pantelleria again. We caught our last glimpse through the airplane window. 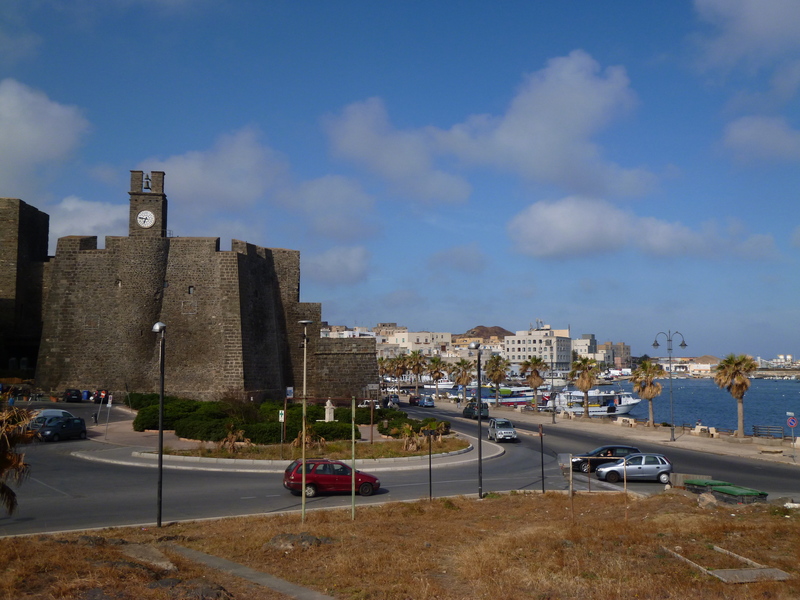 Off to Trapani for the day, and then on to Rome…! Clive and I said our goodbyes to Tom. We ventured on to inspect a few more areas of accommodation. Our planned ferry journey to Trapani on Sunday looks like it might be scuppered. 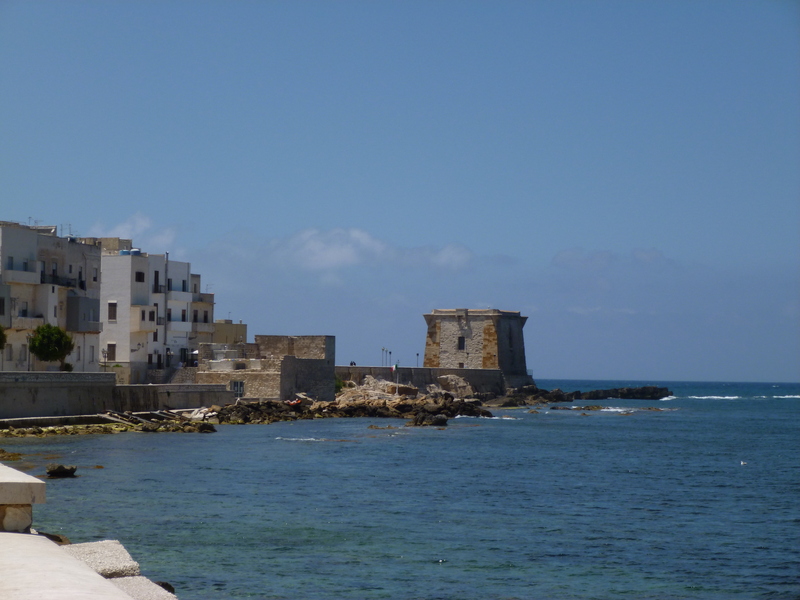 We make a sudden change of plans to fly to Trapani with the new flights just added to the roster. We visited the last area on my visit wish list. 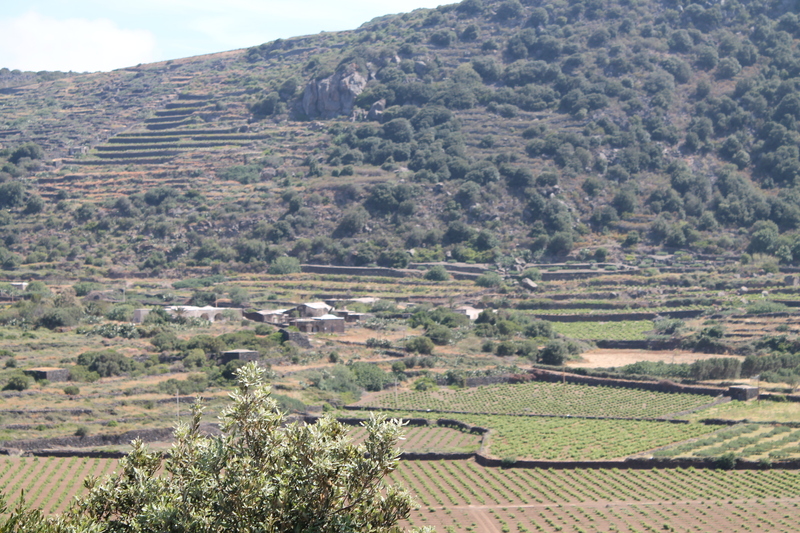 We inspected two fields with ceramic finds and re-used building materials at the Donna Fugata Winery (Fuori Khamma) . In the afternoon, we circumnavigated the island, and stopped at various points. 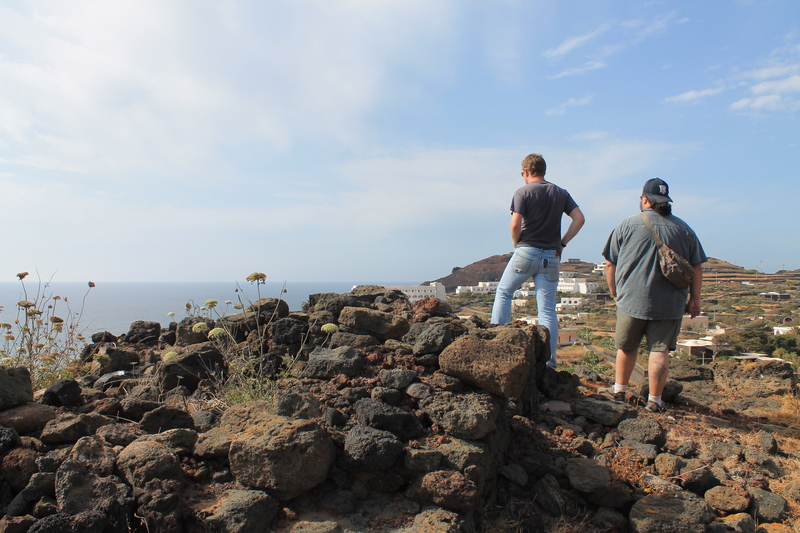 Our search continues with Giovanni for visiting more areas of the island that are reported to contain archaeological remains. We met with the head of the Carabinieri to discuss one possible area. 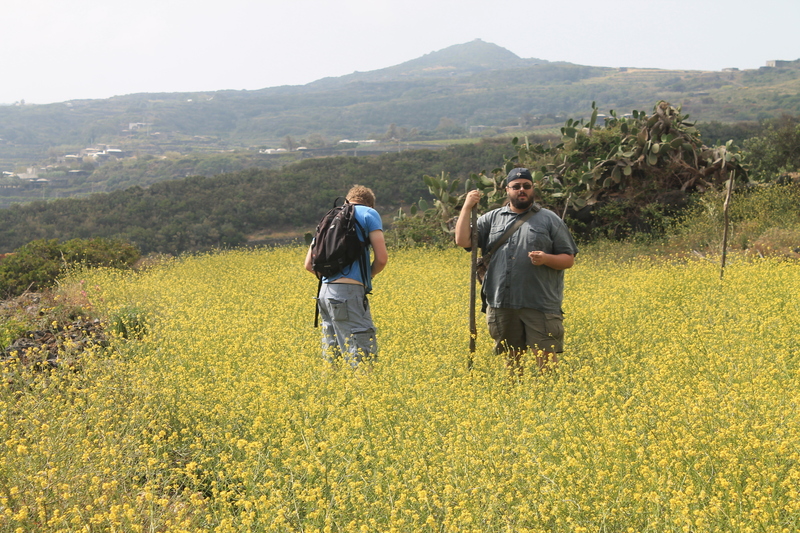 In the afternoon, the President of the local archaeology club then accompanied us to the Gibbiuna and Mueggen areas, both of which contained ceramic finds. 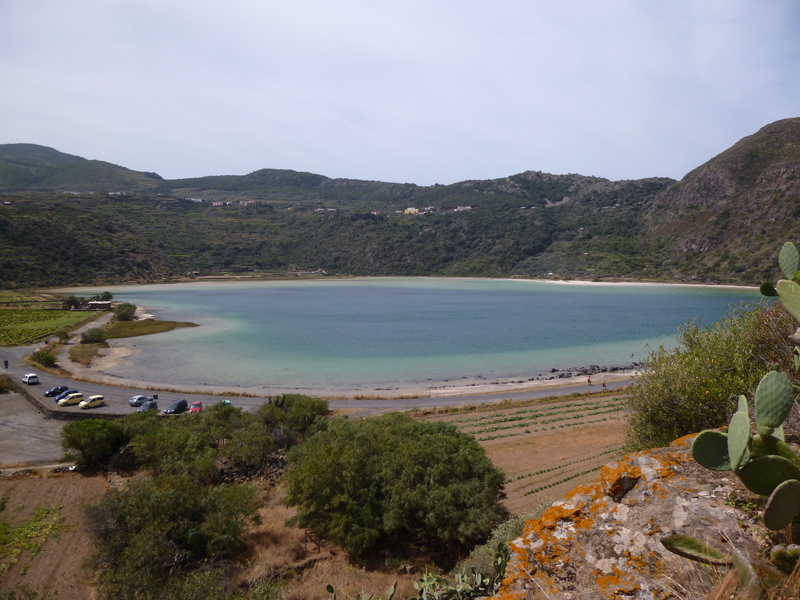 Another visit to Lago di Venere helped us consolidate our thoughts a bit more. And it was an easy excuse to get Tom to wade in by himself looking for features. A local reporter interviewed us in Bar Chi Chi’s during an afternoon meeting. Clive, Tom, and I are conducting an informal survey of several sites on the island. We are gathering information on a number of obvious and lesser-known areas with archaeological remains. The local representative of the Soprintendenza, Giovanni Calandrini, is an immense help. 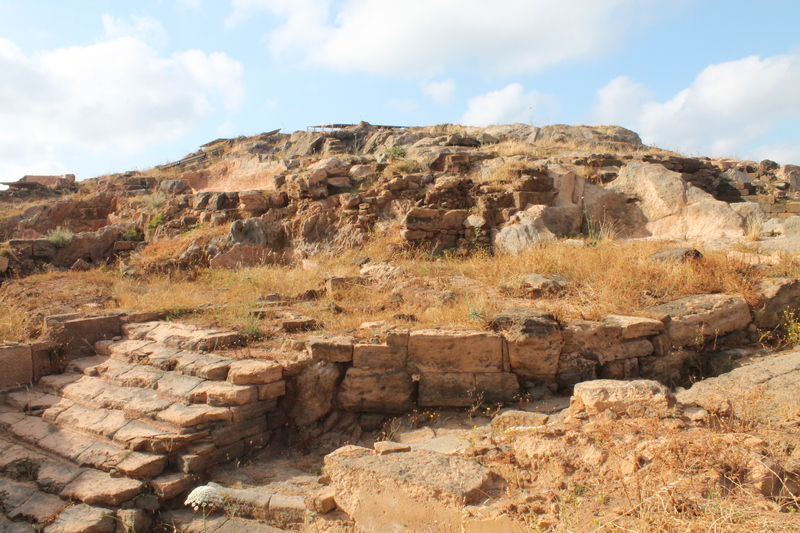 Today we saw the Central Necropolis with Punic and Roman burials, the Monastero and Zighidi area with a Byzantine cemetery, Scauri with its Roman industrial areas and Byzantine Basilica, the Gran Sese Bronze Age tumuli, and the Bronze Age village of Mursia. Giovanni also let us into the closed local artifact storage facility. There is so much to see, including so much off the beaten track. We survived the overnight ferry and arrived into Pantelleria port at 6am. The journey was made easier by the use of a cabin and the soporific motion of the waves. 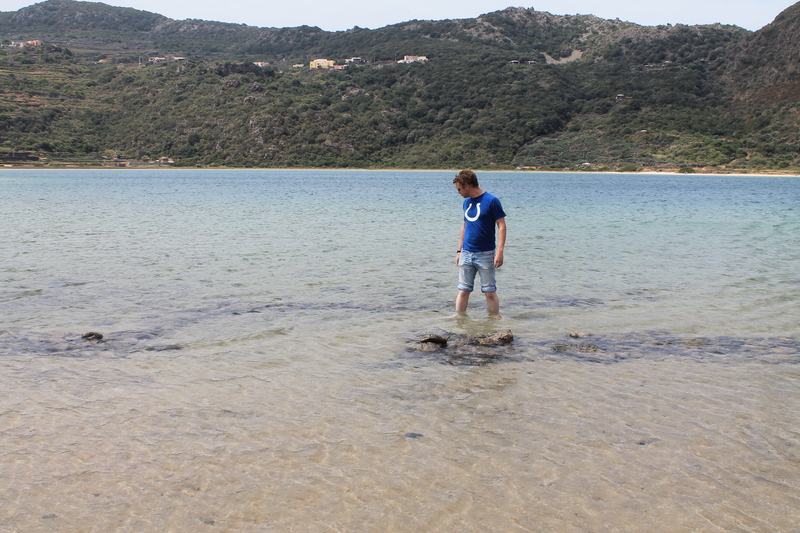 After resting for a bit in our lovely hotel, we plunged into work by touring Lago di Venere and the Acropolis. Clive and I had plenty to talk about with our ideas from over the year, and we had plenty of exciting things to show Tom. Today (Monday), we met with the Soprintendente di Beni Culturali ed Ambientali di Trapani, Dr. Rosella Giglio, at Palazzo Fontana, who oversees the archaeology of the Trapani Region, which includes Pantelleria. We discussed our ideas for the project and made plans for the submission of our next proposal. It is so helpful discussing ideas in person and getting feedback from the chief administrative authority.